Almost two years ago I spoke to Paul Currie. He’d just come from Arran, where he’d set up the distillery, and was about to embark upon creating a new distillery across the border in England. 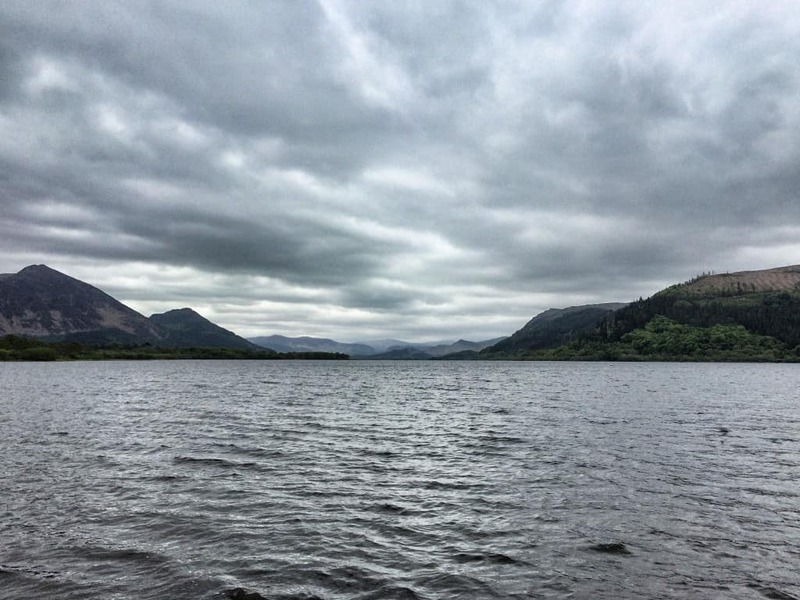 More specifically, it was in the Lake District – nearby Bassenthwaite Lake, and by the River Derwent. The place, back then, was nowhere near a distillery. It was a collection of derelict farm buildings needing a lot of work. 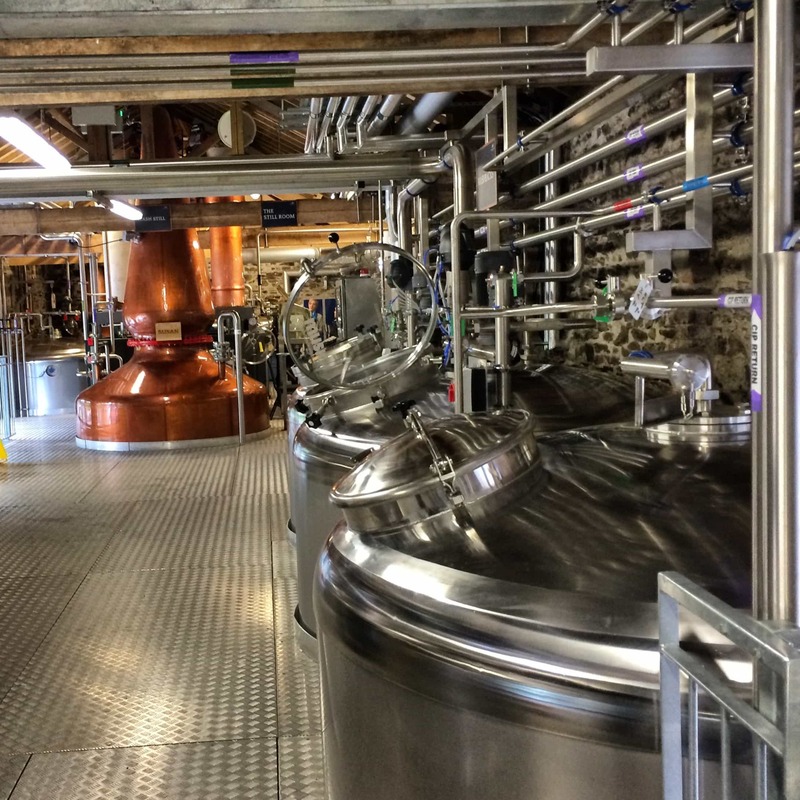 But the Lakes Distillery today is now a thriving distillery, with a visitor centre, bistro and shop. 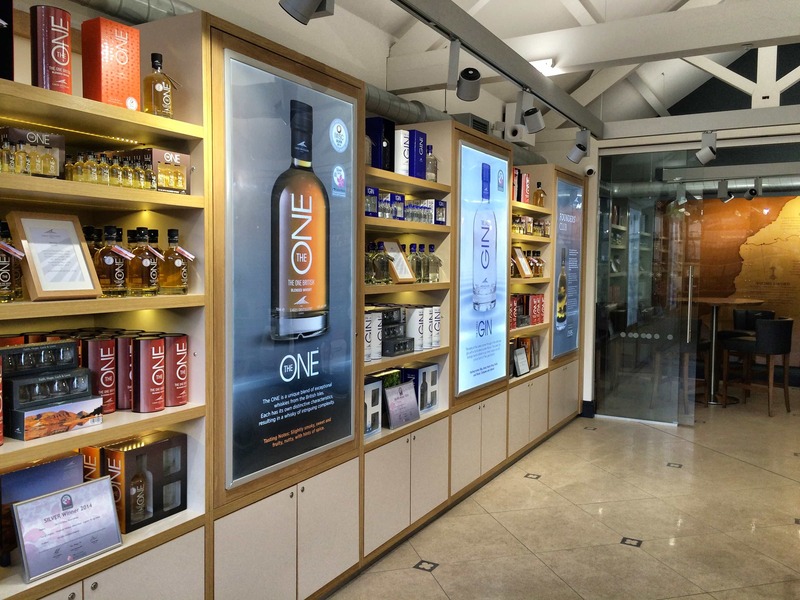 You can buy gin, vodka and, of course, whisky – though at the moment while the spirit is maturing, they have released a British blended whisky called The One. Whilst on holiday in the Lake District, I stopped by the Lakes Distillery and finally met up with Paul. I was actually with my long-suffering wife, as I yet again turned one of our holidays into whisky tourism. I was really intrigued to see how the place had been transformed from those original photos and how the largest of the English distilleries was coming along. The site is astonishing. 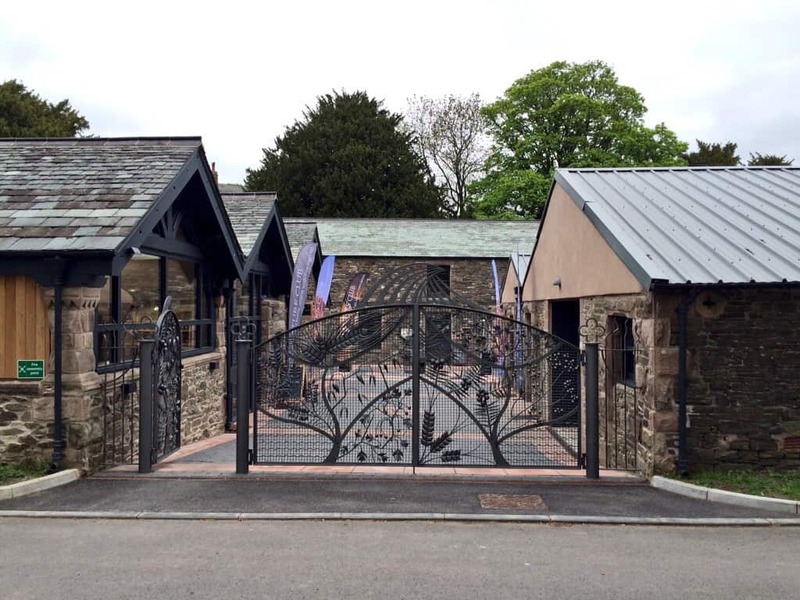 Old slate buildings have been lovingly restored, with sensitivity to the local environment. A lot of investment has gone into the place – about £7million or so into the whole operation – and it clearly shows. 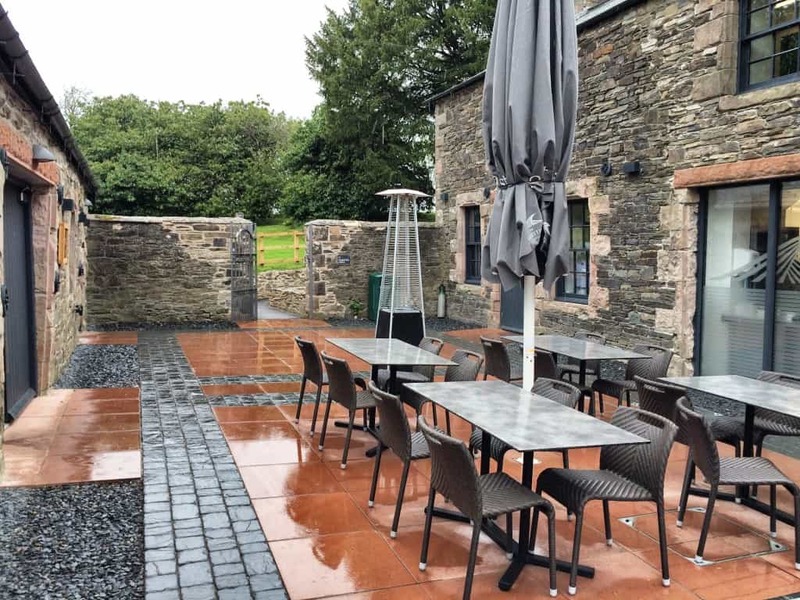 You enter through gates that have been created by local artists, into a splendid courtyard with a shop to the left, a bistro directly in front, and with the distillery operation and warehouse just to the right. 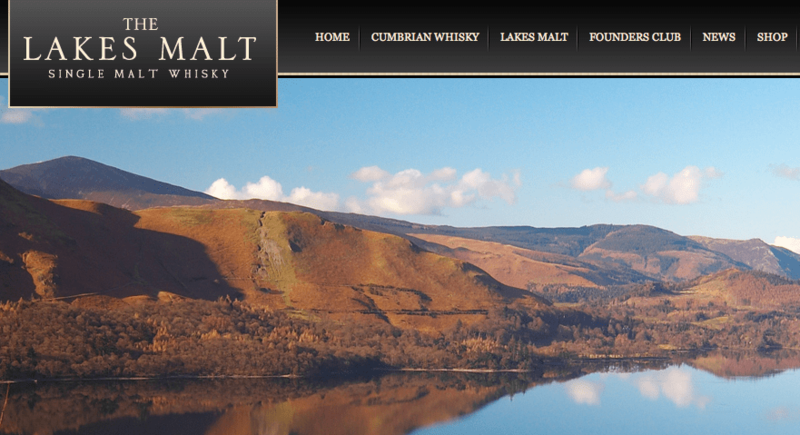 It’s worth commenting, though, on the setting for the Lakes Distillery. This feels like a Scottish distillery, and the landscape is strikingly similar to Scotland. As Paul explained, there’s even a shared heritage in these hills, where whisky smugglers and more illicit distillers once avoided detection centuries ago. Scotland is just around the corner from here, of course. And even though the environment seems naturally suited to making whisky, the border makes all the difference to the potential of the whisky – given that it’s not restricted by Scotch whisky regulations. But onto the site itself. The bistro was vibrant, and sold very tasty food. If you’ve ever been to Ardbeg you’ll know how fine the place is to eat at, how nice the atmosphere on-site is, and I was reminded of that site whilst eating here. The place was filled with customers, which is impressive given it has only been up and running for just a few months. Paul took us first to the stillhouse, where I met Chris Anderson, master distiller, who’d made a lot of whisky at Dewar’s distilleries. I also took this picture; I wasn’t allowed a camera – health and safety! – but my finger slipped, giving you an exclusive shot! As you’d expect, it’s modern and shiny, but it’s also surprisingly large. Paul gestured to the numerous stainless steel mashtuns and the computer operation, with the big stills looming behind him (one of which was named after his wife), and said that at the moment they’re making around 150,000 litres of spirit for whisky a year, with a capacity of another 100,000 on top of that. Boutique, this ain’t. Though by no means a blend churner, the Lakes Distillery is a serious operation. It’s not just whisky that’s produced here, of course. Their vodka gets distilled in a copper still, too – a rather bulbous thing, shaped like an onion, but charming in its own way. The gin uses local botanicals, and even Cumbrian juniper, which adds to the provenance of the product. The water used in the whisky is local – right out of the Derwent, which the distillery sits alongside. Paul said that lot of distilleries can use what’s basically filtered tap water, but he wanted to do things properly. From one of the yards you can see, beyond a field of alpacas (yes, that’s right), a blue pipeline bringing the water right out of the river to the distillery. From there we took a stroll to the warehouse. There is another warehouse that the distillery uses away from the site, but it’s great to see at least some of the spirit being stored here. 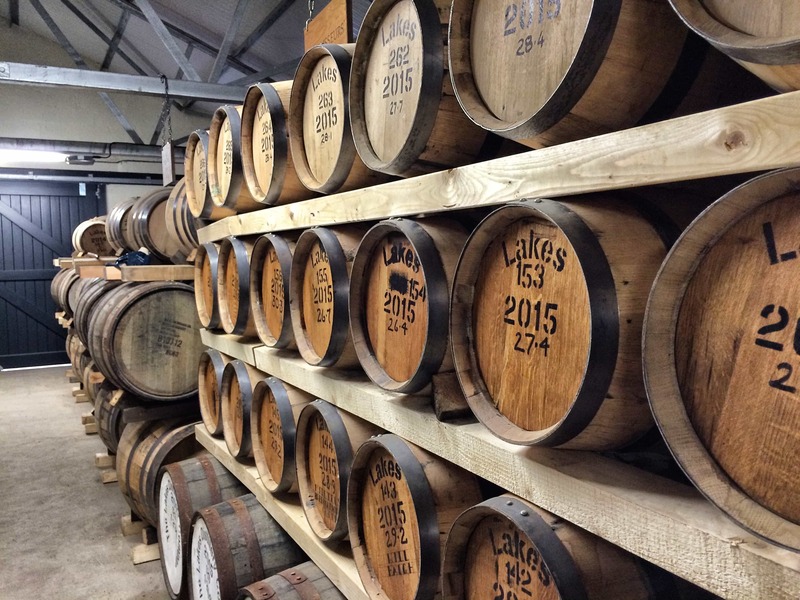 The Lakes Distillery uses a mixture of casks – bourbon (Jim Beam) and sherry, many of which come from the Speyside Cooperage. 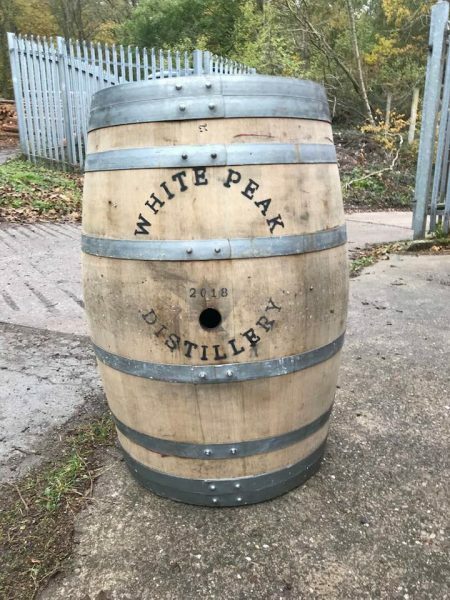 There are smaller casks racked up that fit various corporate needs – a source of useful funding, no doubt, when starting up business. The distillery also offers The Founders Club, whereby you can buy a piece of history – the first ten years of history, in fact (almost certainly one for collectors), and see the spirit maturing over a decade. These I believe were bourbon casks. But why stop at oak wood? Free of the shackles of Scotch whisky regulation, Paul has plans to try other woods, such as Maple. Whether or not the whisky is aged entirely in such experimental woods, or finished remains to be seen, but it’s definitely great to see such schemes openly discussed. 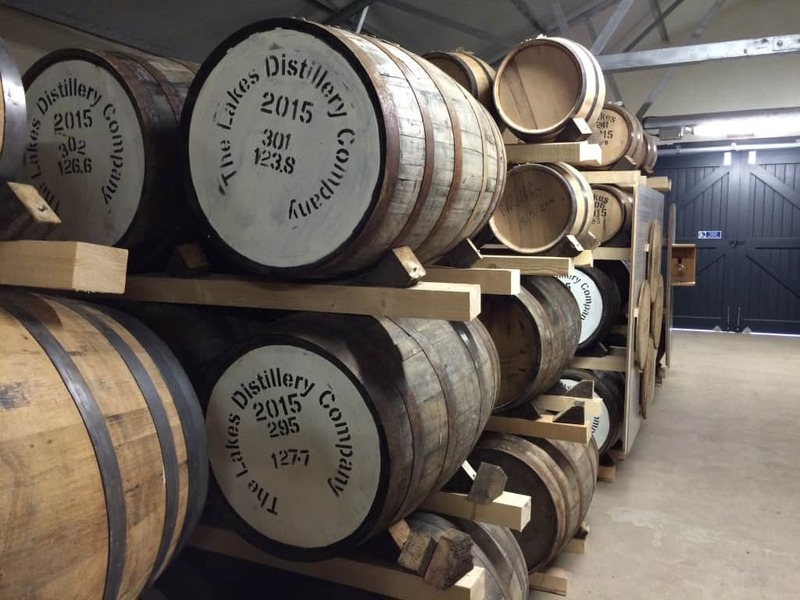 It’ll be a few years until the Lakes Distillery single malt is ready to drink. The guys are in no rush to get a whisky out there if it isn’t up to scratch – so don’t expect a three year-old release necessarily. The whisky will gradually be introduced into its blend, The One, giving that particular brand more meaning. I asked Paul what whisky the Lakes Malt would be replacing, to get some idea of a comparison spirit, but he wasn’t taking the bait. I did learn, however, that The One – being a British blend – has a fair bit of Irish whiskey in it. Paul also said that the whisky would not be released with an age statement – mostly because age statements were the results of dated marketing, and limited what they could do with the whisky. The single malt will be ready when it’s ready. Whisky needs time. 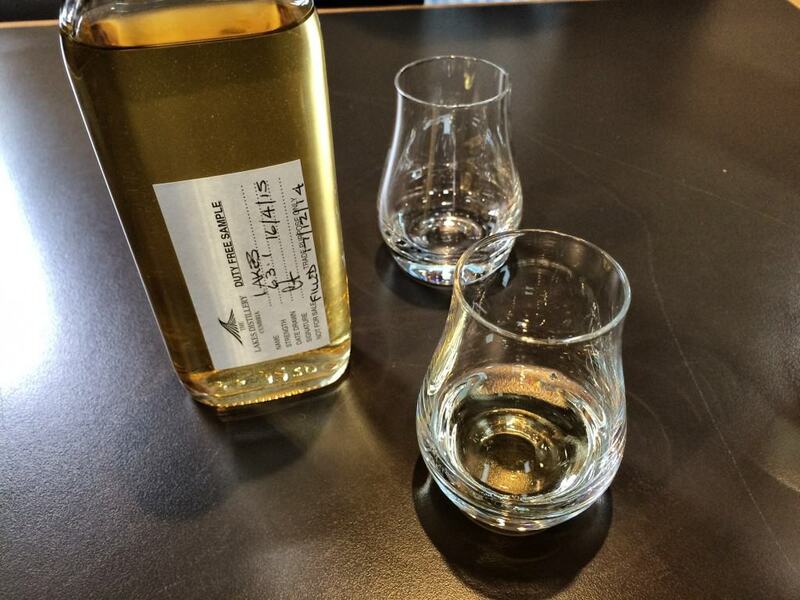 But after our tour, and when back in the bistro for coffee and cake, Paul brought out a sample of the spirit. It had been distilled just in December, making it around four months old by the time the sample had been taken, and it had been matured in a sherry cask. The nose reminded me of an Arran single cask from the Scotch Malt Whisky Society I recently enjoyed – whether this was conscious or not remains to be seen, but it is worth noting that the stills here were based on Arran, which were in turn based on Macallan’s design. The taste was fruity and very sweet: jam pastries, with dough-like and (obviously) youthful maltiness. And it was velvety, possessing a great silky, medium-weight texture, which is remarkable for such a young spirit. I know for a fact that the team there are chuffed to bits with it too. Though yes, clearly I was honoured to try some of this new spirit, I’m someone who won’t hold back on a bad opinion. In short, the spirit was really good. It was a simple sherry cask maturation, too; no tricks, no acceleration of maturation in small casks, no crazy finishes to hide flaws. Just good, honest spirit, crafted really well. That’s the important thing for me. Clearly, there are good things to be expected from the Lakes Distillery. Much like the renovation of the site itself, the distillery has nestled into the landscape of the Lake District as if it had always been there. It’s as if English whisky never vanished. Paul and the team have done a fantastic job at creating something that feels utterly natural to be here. I like that a lot. It’s not artificial. It’s not a tourist trap, though clearly people have been drawn to the place. 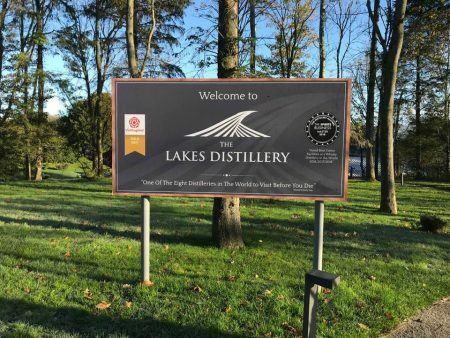 The Lakes Distillery is within striking-distance of a lot of cities in northern England, and probably not far for many Scots to travel here either. You should definitely make it a destination for a weekend away. It’s highly recommended. In the meantime, you can check out the Lakes Distillery website, Facebook, Twitter or Instagram to see what they’re up to. Thanks to Paul Currie for giving us such a great afternoon.